Recorded & Mixed at Chapel Studios, UK December 1997/January 1998. Engineered by Ewan Davies & Jim Anderson. 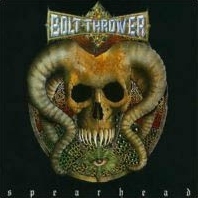 Produced by Bolt Thrower & Ewan Davies. Released on Metal Blade Records in 1998. Sleeve by Peter Archer.